1. 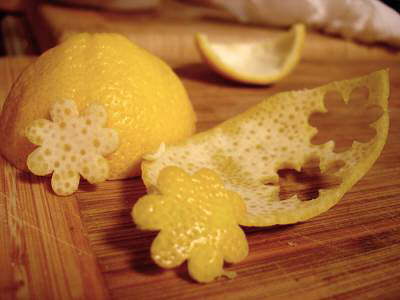 Lemon being a citrus fruit , fights against infection. It helps in production of WBC's and antibodies in blood which attacks the invading microorganism and prevents infection. 3. Lemon lowers blood pressure and increases the levels of HDL (good cholesterol) . 4. Lemon is found to be anti-carcinogenic which lower the rates of colon, prostate, and breast cancer . They prevent faulty metabolism in the cell, which can predispose a cell to becoming carcinogenic. Also blocks the formation of nitrosamines in the gut. 14. Lemon juice relieves colic pain and gastric problems . 15. Lemon juice soothes the dry skin when applied with little glycerin . 22. Gargling lemon juice relieves throat infection and also used as a treatment for diphtheria . 23. Lemon juice is an excellent treatment for dandruff and greasy hair . 25. Lemon juice helps to prevent and cure osteoarthritis . 3) I Have a Few Questions... If a pig loses its voice, is it disgruntled?